It's that time of year when the sun sets earlier and rises later. For runners, that means running in the dark and cold. But that doesn't mean running enthusiasts have to give up the outdoors and take to the treadmills. It's that time of year when the sun sets earlier and rises later. For runners, that means running in the dark and cold. But that doesn't mean running enthusiasts have to give up the outdoors and take to the treadmills. Gillian Roberts, a member of the Prince George Road Runners running club, says running outside keeps people motivated. 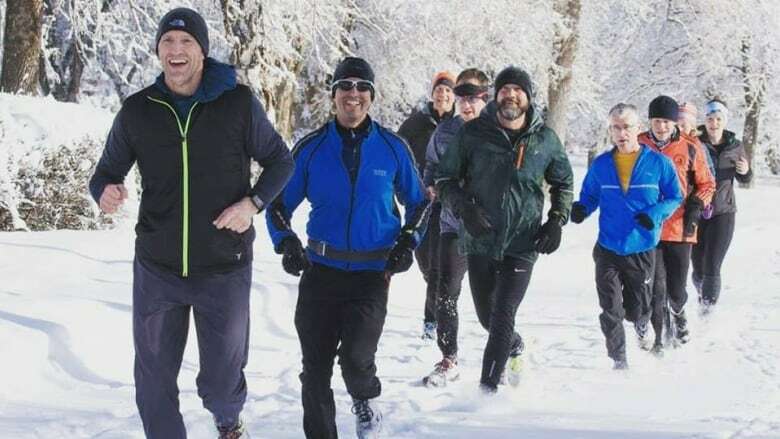 "I find that people that run all the way through the winter and do the majority of it outside always see more consistent improvement when springtime [comes]," Roberts told Daybreak North host Carolina de Ryk. Runners, walkers and cyclists need to ensure they are visible to motorists by always wearing clothing with reflective designs on them, said Roberts. "If your running outdoor gear doesn't have reflective pieces, wear reflective armbands, lights, head lamps, or something to make sure that the motorists are going to see you very easily." Lightweight reflective options are available at most running stores. Cars and runners can share the road, but both must be aware of their surroundings, especially when it's dark, said Roberts. "It really is a two-way street … It's not just the runner's job to watch for the cars, or the car's job to watch for you." Once winter is in full force, the sidewalk is not always the best place to be running. Ice and snow can cause falls and foot injuries. If runners decide to run on the street, Roberts urges them to be on extra-high alert for cars. Once the snow comes, runners should pay attention to which streets typically get plowed first, especially when running in the morning. "That gives us the safest footing," said Roberts. Roberts says she knows many people who have nearly been hit by cars while running because they were listening to music. "As far as safety is concerned, we always suggest people not listen to music when running on the streets … part of [being aware] is using your hearing."